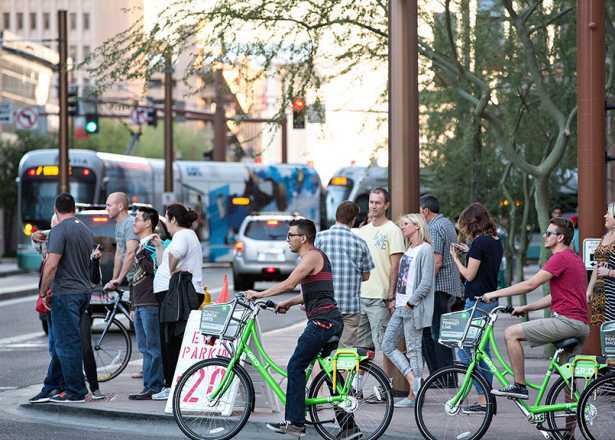 I admit, I have a little trouble getting some of my more suburban friends to explore Phoenix&apos;s Warehouse District with me. The neighborhood, immediately south of the downtown core, has seen a burst of revitalization in recent years but is still more gritty than pretty in parts. The renewal of this once-forgotten downtown community continues thanks to restaurants and bars, venues, galleries, eclectic work spaces and the nearby sports stadiums. But when I have snagged an adventurous friend or two to accompany me on an urban foray, we’ve seen works by Richard Serra and Anish Kapoor—two giants of the art world, heard a reggae band from Colorado, eaten trendy mac ’n’ cheese muffins and had a master mixologist craft us a perfect martini. The 1930 Ong Yut Geong Wholesale Market building has been restored and occupied by its owners, R&R Partners. But Cassidy and his partners were drawn to the district for its just-steps-away proximity to the downtown core, history and stock of virtually untouched character buildings. "This area developed in the late 1800s and early 1900s as the city’s warehouse center,” Cassidy explains. “Most of the streets had railroad spurs to the warehouses that moved products and produce. The buildings, which were built from the 1800s through the 1940s, were done dock height to accommodate horse-drawn wagons, trains and trucks. 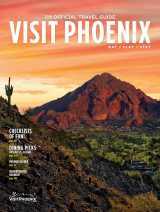 After World War II, Phoenix experienced suburban flight, and a lot of the activity here dwindled. Some of the warehouses were leveled, but this neighborhood has one of the best collections of historic brick and concrete buildings in the state." The district also included the city’s once-vibrant Chinatown and a Mexican neighborhood, creating a melting pot of cultures. After decades of languishing, the district crept back to life in the 1990s when local artists discovered the warehouses offered inexpensive studio spaces. Artist studios still dot the neighborhood, but the district was put on the art world map when Bentley Calverley opened Bentley Gallery in 2004, in part of a 28,000-square-foot red brick building built in 1918 as a commercial laundry. Over the years, she’s focused on contemporary, abstract works from mid-career or established artists, showing or representing works by internationally acclaimed artists such as Jim Dine, Jun Kaneko, Philip Moulthrop and the afore-mentioned Serra and Kapoor. Calverley also champions local and emerging artists, and has given use of her building adjacent to the main gallery as artist studios and the Adapt Gallery, which features up-and-coming artists. I like to lurk in the gallery, contemplating the sometimes-hidden meanings in the art and admiring the building’s architecture, with its brick walls and exposed beam ceilings. Bentley Gallery has regular hours, new shows monthly and is a featured participant in Art Detour, the annual March open house of downtown galleries and studios. Adapt Gallery has more limited hours, opening to the public on First and Third Fridays art walks. Since 2014, Arizona State University’s School of Art has been transforming a 42,000-square-foot former machine shop into its Grant Street Studios, which houses more than 60 studios for MFA students working in everything from painting and sculpture to fiber, ceramics, 3-D printing and photography. The raw, industrial building, which, on its 7th Street facade, is completely covered with metal traffic signs, also includes the Step Gallery, where grad students exhibit their thesis shows, and Northlight Gallery, a place for photography students to exhibit their images. Northlight, established originally on ASU’s Tempe campus, also hangs works by renowned photographers—recent shows have included works by Edward Curtis and Minor White. Grant Street Studios is also perfect if you’re looking to score some art from student talents. Some (not all) of the art shown in exhibitions is for sale. Both galleries have regular (albeit limited) hours during the academic year (late summer through early spring) and are also open during First and Third Fridays art walks. Visual art isn’t the only form of culture in the district. If you like your music indie and your music venues intimate, head to Last Exit Live, a cozy spot where you’re never more than a few feet from the stage. The emphasis is on local and regional talent, but nationally touring bands also check in. Spruced up recently with an expanded patio and glass garage doors that make for an indoor-outdoor experience, Last Exit Live is where we had a few beers and caught that reggae band. Insider tip: The crowds don’t start to arrive until after 10 p.m. Some people can live on art and music alone. Me? I like to eat and indulge in an adult beverage or two. 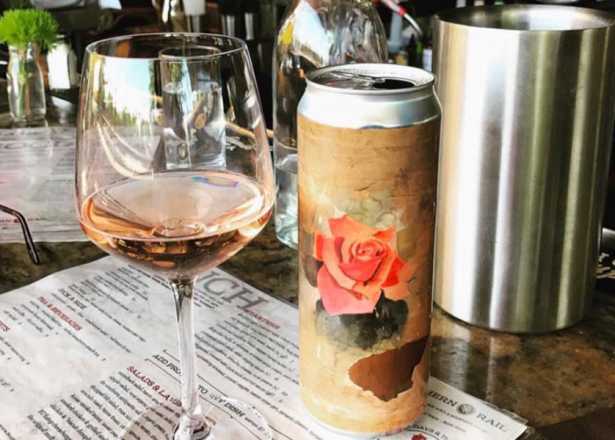 The Warehouse District delivers on both fronts, offering up both old-school basics and menus that appeal to Yelping foodies. Oldest of the old school is Sing High Chop Suey House, opened in 1928 in the midst of what was then Chinatown. Today, it’s a no-frills kind of place with oil cloth-covered tables and linoleum floors, but during lunch hours, it’s packed with lawyers, judges and law enforcement, who work at the adjacent courthouses, county jail and offices. The throwback menu includes soul-warming wor mein noodles, egg foo young and, natch, chop suey. A few blocks away, the family-owned La Canasta restaurant opened in 1962 and spawned a wholesale Mexican food business (think tortillas, chips, salsas). The original eatery serves up menudo, tamales, bean- and cheese-topped sopapillas, plus Mexican menu standards, not to mention margaritas. When I’m hankering for street tacos, though, I head to a newer place, Sonora Taco Shop, with counter service and inside seating for maybe 10. They offer carne asada, al pastor and pollo tacos, all grilled to order, plus vampiros–a corn tortilla grilled to crispness and topped with beans and cheese. The name? A bit of a mystery, but maybe it’s for late-night vampires who chow down on the crunchy delights after the clubs have closed. And, yes, you can find Mexican Coke in the cooler. Cardiologists would probably warn me away from Lo-Lo’s Chicken and Waffles at the edge of the Warehouse District. It’s the mothership of what are now several locations that serve up caloric don’t-ask-don’t-tell menu items like southern-fried chicken served with waffles, grits, eggs, mac and cheese and other deliciousness that I crave in between bouts of clean eating. The aforementioned mac and cheese muffins can be had at The Duce, a newer restaurant/bar/gym/club/store/event space. This paean to multipurposeness is the brainchild of Andi and Steve Rosenstein, who bought an old brick produce warehouse (hence The Duce) in 2007 with the idea of doing something cool with it. The couple–founders of the Fitigues fashion line–outfitted the 16,000-square-foot space with a vintage bar, an Airstream trailer that now houses the kitchen, an old soda fountain, a boxing ring and even bleachers from St. Mary’s High School. You can grab a meal (beer can chicken is another specialty), get a cocktail, indulge in a spiked milkshake and shop for merch that includes home accessories and branded tees. Need to move around? Ping pong tables, corn hole and foosball are for those who can’t sit still. Swing and salsa dance classes happen on weeknights, and on Sunday mornings, you can join in a boot camp-style workout that ends with a mimosa. When I need those perfect martinis and crafted cocktails, I make a pilgrimage to Bitter & Twisted Cocktail Parlour, the city’s ultra cocktail parlor founded by Ross Simon, a Scottsman who has driven Arizona’s cocktail resurgence. It’s housed in the 1920s Art Deco Luhrs building, which, ironically enough was once the Prohibition headquarters for the state. Belly up to the long bar or sit in booths and peruse the vast cocktail menu to find a classic or new-creative drink to your taste. The Asian-influenced food menu goes beyond wings and sliders, with offerings like spicy burgers served on ramen buns and Korean nachos. 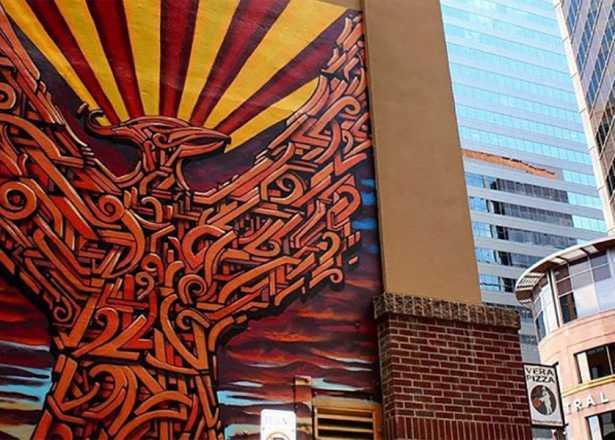 If you don’t want to get in the car after a day or evening spent prowling the district’s treasures, Residence Inn/Courtyard by Marriott Phoenix Downtown is a welcome respite from urban exploring. It’s the first hotel built in the district in decades (if not 100 years) and, with a 2017 opening, one of the newest in downtown. The 320-room and suite hotel combines two Marriott concepts in one sleek, stylish and modern 19-story tower. Many rooms have primo views of the warehouses, as well as Chase Field and Talking Stick Arena, which makes it a great place to spend the night if you’re seeing a concert or cheering on the Arizona Diamondbacks or Phoenix Suns. The hotel has a spacious lobby, a small ground-level cafe and a sunny breakfast room. Best news? Ross Simon and fellow cocktail-ologist Aaron DeFeo will be opening Little Rituals, the hotel’s bar, in mid-2018. I’ll be back for their seasonal cocktails and gourmet bar bites. At the end of a long day or night exploring the Warehouse District my once-skeptical friends are always hooked and can’t wait to come back for some more urban adventures. The district, it seems, will be delivering. 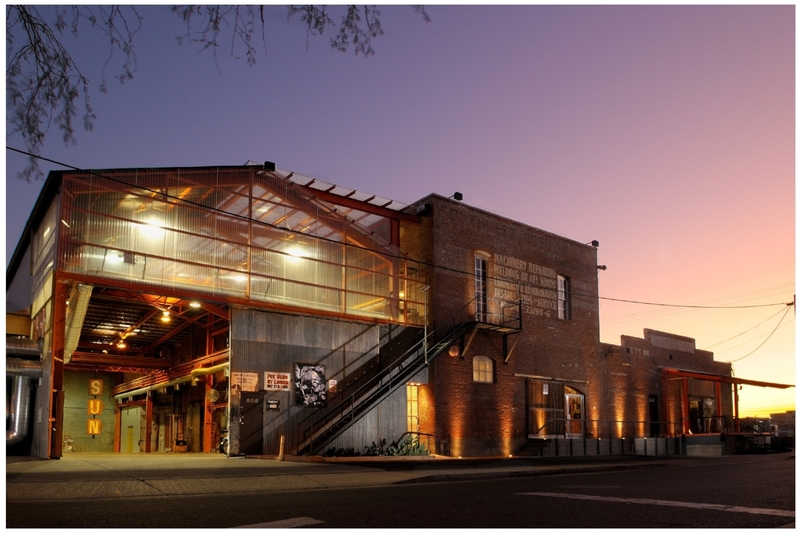 Learn more about the Phoenix Warehouse District at phxwd.com.